Health Care, Stent, PTCA, angioplasty, CarbofilmTM, catheter, coronary artery disease. 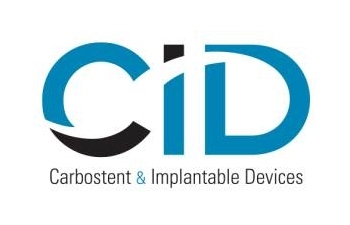 CID (Carbostent & Implantable Devices) stems from Sorin Group’s Vascular Therapy business to become an independent company, whose main shareholder is IP Investimenti e Partecipazioni Srl, maintaining all the background and expertise gained in over a decade of research, development and proven clinical experience in the treatment of vascular disease. CID brings along the scientific and technological know-how developed in years of activities and boasts a strong innovative vocation in the industrial sector of research and development of high sophisticated devices to heal serious coronary pathologies. CID enjoys an important accreditation in its specific medical class with interventional cardiologists community, not only because of the quality and reliability of its devices, but also through studies and projects carried out in many years in the most important Italian and international health centers. CID develops produces and markets advanced medical technology devices for the treatment of coronary artery diseases. Those devices include stent and catheter system for the treatment of the coronary occlusion with angioplasty, which is a minimally invasive intervention that restores blood flow to the heart without the need for major surgery. The main objective of CID is the development of drug eluting stents, in the direction of new drug combination. As future objectives CID aims at expanding the international presence and distribution in order to respond the continuous evolution of the sector, while fulfilling the highest standards in quality, reliability and confidence set by the medical class. Applying the high scientific and technological know-how about sophisticated devices to heal serious coronary pathologies, CID, since to 2010 develops, produces and markets advanced medical technology devices also for the treatment of peripheral diseases. Those devices include stent and catheter system for the treatment of peripheral pathologies to restore blood flow in the peripheral circulation without the need for major surgery. The main features of CID’s products are:CarbofilmTM coating: since the introduction of its first Carbostent in 1998, CID has been a leading innovator in stent solutions with its breakthrough CarbofilmTM coating technology. CarbofilmTM is a high density, ultra thin film (< 0.5 mm) of turbostratic pure carbon that can be deposited on any substrate without altering its morphologic and physical characteristics resulting in permanent adhesion. The CarbofilmTM coating produce a pure carbon interface between stent and blood preventing the release of allergenic metal ions such as Nickel, Chromium and Molybdenum from the stent surface.The benefit of CarbofilmTM coating has been demonstrated along the years and through clinical use to be a unique haemo and biocompatible surface that minimizes the risk of further cardiac complications. Polymer free abluminal reservoirs: CID was the first company in the world to market a polymer-free drug eluting stent. This know-how, developed totally in-house, offers physicians the unique advantages brought by the combination of CarbofilmTM and a proprietary drug release system based on the use of reservoirs on the stent’s outer surface to ensure a targeted drug release towards the vessel wall. CID’s drug-release platform avoids the use of polymer to carry the drug thus eliminating the shortcomings often associated with polymers; moreover the reservoirs placed on the stent’s outer surface ensure targeted drug release towards the vessel wall.